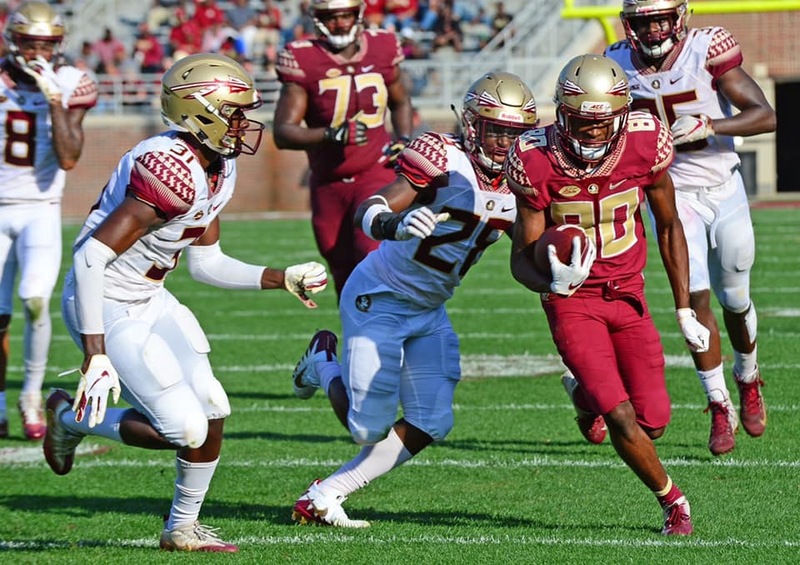 Florida State’s 2019 spring game was successful — both on the field and off the field. 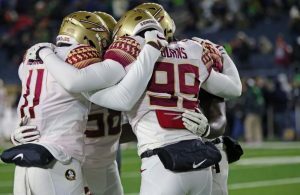 In addition to signs of improvement on the offense and promising newcomers on defense, Florida State had a surprising amount of talent on the sidelines. 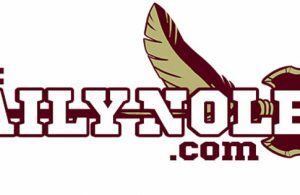 While the most recent recruiting class didn’t bring many positive feelings to the fan base, it should be an encouraging sign that the Seminoles are keeping top high school players interested in the program. A current snapshot of Florida State’s 2020 class reveals a top-10 ranking with four blue-chips. The actual player rankings aren’t very accurate at this point, but rest assured that Florida State’s commits are undoubtedly FSU-level prospects. The final class will be tripled in size. With all the players that made their way to Tallahassee this weekend, it’s time to give an overview of where Florida State stands on the trail, and what the bigger storylines will be from here on out. What’s the Running Back Plan? From what most can gather, Florida State has four running backs it is focusing on at the moment: 4-star Jaylan Knighton, 4-star Lawrance Toafili, 4-star Caziah Holmes, and 4-star Jo’Quavious Marks. All four have shown serious interest in FSU and three of them (Toafili, Holmes, Marks) are considered FSU leans. Knighton was previously seen as a near-lock to Clemson, but his recent trip to Tallahassee indicates otherwise. There is also the rumor that 5-star running back Demarkcus Bowman is leaning towards Clemson, which would affect who the Tigers take at the position. That presents an obvious problem. Unless FSU has unexpected room and pulls off an incredible feat, it likely won’t take more than two at the position. So what two are the priority in that situation? If it was based purely on talent/potential, then Knighton and Toafili would probably be 1A and 1B. But it is never that simple. If Knighton is still being recruited by Clemson, is it a smart idea to focus on him and hope that FSU can secure a commitment without the other two options going elsewhere? It’s a good problem to have, since it indicates that talented players are still interested in the FSU offense. The flipside is it will act as a test to see the staff managing their recruiting. Lock Up the Interior Offensive Line Early? Two of the staff’s primary targets at offensive line are 3-star guard Tate Johnson and 3-star guard Richie Leonard. Both of them made it to the spring game, which is a great sign for FSU’s chances. Johnson is already considered an FSU favorite, while Leonard is still committed to Kentucky (though he is looking around more than expected). Each of them are talented players who are currently underranked by most recruiting services. Leonard is especially a victim of this, as his offers do not match his current No. 816 ranking, according to the 247Sport Composite. Florida State still needs more tackles than it does interior players. The line needs help everywhere of course, but it wouldn’t be surprising if FSU takes three tackles and only two guards. The Seminoles already have tackle Zane Herring committed, so that leaves them with two more spots on the inside and two more on the outside. Florida State currently has more momentum with the former. If it can lock up those guards early on, it can help tremendously down the stretch when the Seminoles are focusing on tackles. Who’s the First Wide Receiver Option? Admittedly this question involves the same situation as running back. FSU will probably be taking three receivers in the 2020 class, and the current question is what the board actually looks like. The spring game arrivals gave a pretty good overview: 4-star Bryan Robinson, 4-star Arian Smith, 4-star Malachi Wideman, and 3-star Jaheim Bell. Those are more or less the main targets at the position. 4-star Bryce Gowdy, 4-star Michael Redding III, and 3-star Ja’Marquis Johnson also deserve mention (though Johnson might be a defensive back for FSU). Unlike the running back spot, it is hard to get a read on which receivers are the top choices. Robinson is likely the one surefire take, since he has a connection to Ron Dugans. Guys like Wideman and Smith are less clear. Wideman is very raw and Smith’s recruitment is quiet. Bell is a freak athlete who could play both sides of the ball, and he seems to be leaning towards FSU. Florida State will be losing Keith Gavin to graduation and will likely be losing Tamorrion Terry to the draft. That’s two big body wide receivers who occupy the outside spots. If depth is needed for that role, then Robinson, Wideman, and Bell are the likely takes. Is the Staff Correcting Previous Mistakes? Two mistakes from last season were (1) staying on unrealistic targets too long, and (2) accepting commitments from recruits who weren’t all that solid to FSU. The second factor happens to every team — but fans aware of Miami’s recruiting plights over the past few years understand why it can come back around and seriously hurt overall recruiting efforts. If a team has a bad season (hint: FSU did) then it will see a mass exodus of talent. Early returns are mostly positive. 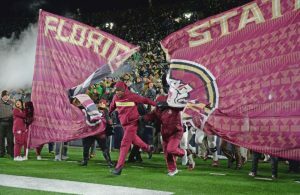 FSU seems to be focusing much more on Florida and Georgia talent, rather than venturing outside its known stomping grounds. The Seminoles also aren’t chasing many “big fish” who would otherwise require an incredible amount of convincing. The staff seems to understand that going 5-7 limits the pool of players they have access to. We also wonder if FSU is intentionally holding off with taking commitments from certain players. One example is linebacker, where FSU already has three committed. That affects someone like 4-star Jayion McCluster, who is a heavy favorite towards the Seminoles, but hasn’t pulled the trigger. It’s the same deal with someone like Ja’Marquis Johnson. Neither of those would be “bad takes” necessarily, but it might be better to wait a little bit and see where you stand with other realistic targets.